Joint venture partners Mace and Hadley Homes have been confirmed as preferred development partners for a big housing project in Greenwich, London. The Heart of East Greenwich housing scheme already has planning consent and will transform the former Greenwich District Hospital site into a modern complex of homes and community facilities. The focal point of the development will be the Greenwich Centre, which will house a library, leisure facilities and NHS health centre. Construction is scheduled to get underway before the end of the year and should run for up to three years. Hadley Mace will now work with architect Make to deliver the family-orientated, eco-friendly housing scheme which will include private gardens and a large public square. 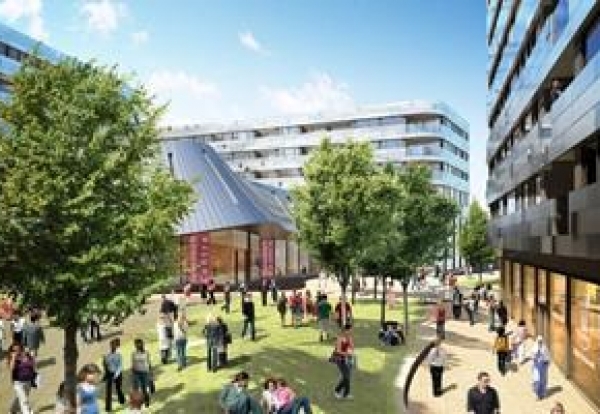 London Mayor Boris Johnson, said: “News that the Heart of East Greenwich project is now pressing on full steam ahead is fantastic to hear. “It is a landmark regeneration scheme, as part of a determined effort we are making across London to bring forward public land for development. David Grover from Hadley Mace said: “We are delighted to be named as the preferred developer on this prestigious development.